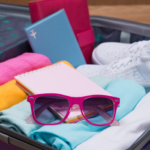 You plan a seven-day vacation to go somewhere far away and enjoy something different, but two of those days are needed for travel to and from your destination, so your actual vacation time has been trimmed to five days. 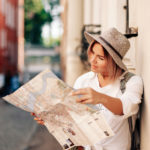 Then you get to your destination only to find yourself jet-lagged for the first day or two, giving you the traveler’s equivalent of a hangover, and suddenly your seven-day trip is reduced to just three or four days of truly invigorating vacation days. Such is the bane of jet lag caused by trans-time-zone travel. Jet lag throws off our sleeping patterns. We don’t sleep as well, are depleted of energy and cannot enjoy the fruits of our travel as robustly as we would like. To be more precise, MedicineNet.com defines jet lag (also called desynchronosis and flight fatigue) as a temporary disorder that causes fatigue, insomnia and other symptoms that result from air travel across time zones. Simply put, it disrupts our internal body clock that cause the symptoms listed above, but in more severe cases can also induce anxiety, constipation, confusion, dehydration, headache, nausea and other issues, according to MedicineNet.com. 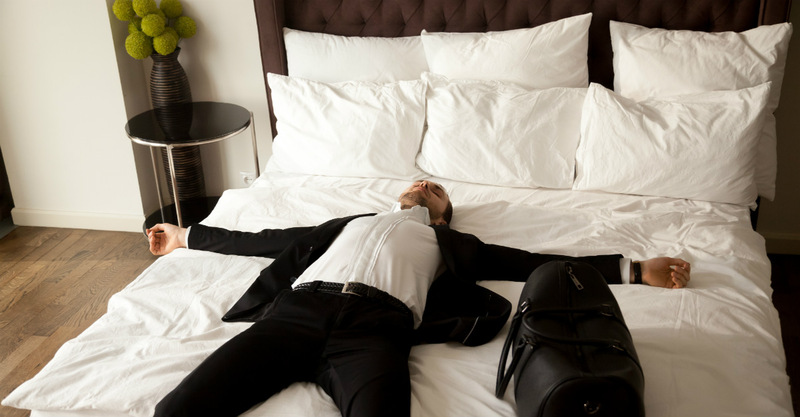 We don’t live in a Star Trek era, so there isn’t a heck of a lot a traveler can do about travel time, but the effects of jet lag can be treated, (at least some experts say that’s the case). The remedy, according to some, is a good spa treatment. There are even spas that specialize in treatments aimed at taming the ailments associated with jet lag and long-distance travel in general, such as muscle stiffness and soreness. Some national media outlets have reported on the topic and cited jet-lag treatments at a Singapore spa that restores the body’s equilibrium and circadian rhythms. Think in terms of a full body massage to improve circulation, some “sleep tincture” drops extracted from herbs such as passionflower and valerian to facilitate sleep and get a person feeling back to normal. Another spa, based in New York City, prescribes hour-long facial “buffs” to exfoliate and rehydrate the skin, reduce puffiness and get the complexion glowing again. A Beverly Hills spa offers a post-jet-lag treatments package that includes both a Swedish massage and facial that promise to improve energy flow and muscle flexibility, as well as quicken blood circulation. The Rose Hotel does not have an in-house spa or any special prescriptions for eradicating jet lag, but for years we have provided our guests with passes to the nearby ClubSport, a health club that has an extensive array of services, including full-scale spa treatments ranging from massage and facials to waxing. There is also a pool, hot tub and sauna. Suffice it to say, one can be assured they will feel good after some high-quality pampering at the ClubSport spa. We want our guests — many of whom travel across multiple time zones — to enjoy the full experience of being in the luxury environs of The Rose Hotel, and the endless cultural and recreational opportunities that surround our San Francisco-Bay Area property. We cannot promise that a good spa treatment is the cure for jet lag, but we can promise it won’t hurt. We’re always interesting in hearing your thoughts and experiences, so click here and write to us.